Need some restaurant inspiration? 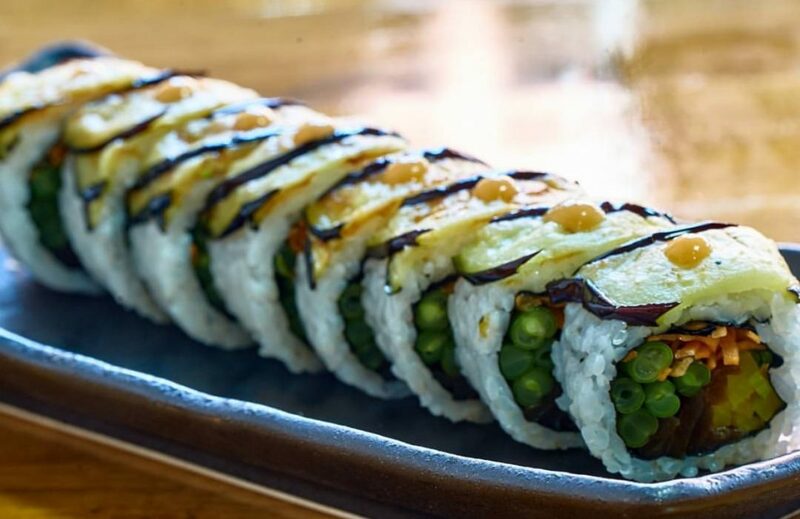 Here’s our pick of where to head for delicious seasonal dishes..
Izakaya, the Japanese-inspired late bar and restaurant on Castle Street has introduced a new menu including Aubergine Dragon Uramaki (pictured) Teriyaki Shitake & Chive Maki plus Pork Belly & Crispy Shallot Bao. Director Harry Marquart said “the new expansive menu reflects the innovative flair of the team keen to spread more awareness of the diversity and creativity of Japanese cuisine. Many of the dishes and their ingredients are designed to leave our guests feeling full like they’ve had a hearty meal with room still left for our new autumn cocktail menu too! 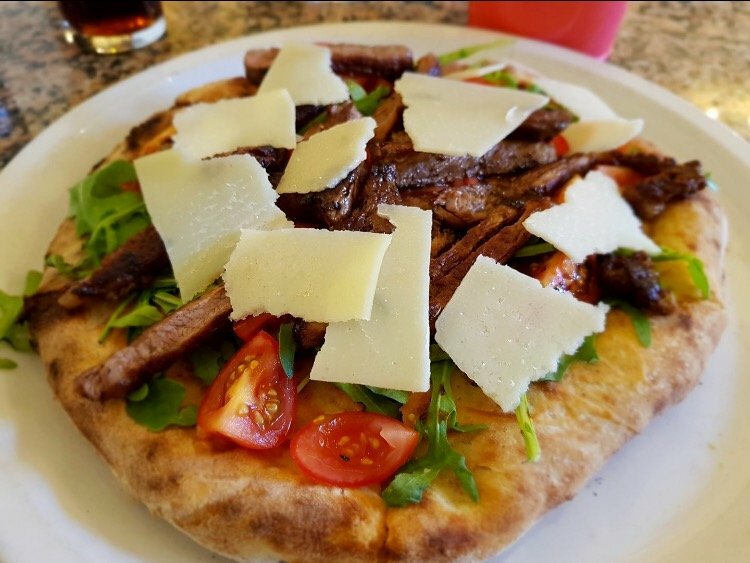 There’s a new Autumn menu imminent at the award-winning Italian club in Bold Street with some of the many highlights including the 2 new pizzas, a new pasta and a new meat dish, Tagliati Di Manzi Rustica’ an 8oz rib-eye steak served on focaccia bread, topped with cherry tomatoes, rocket salad and Parmesan shavings. £16.95. The menus this autumn created by owners and real life partners Maurizio Pelligrini and Rosaria Crolla have been especially dedicated to celebrating 10 years of the Italian club that has seen the restaurant grace many national magazines and win multiple awards. 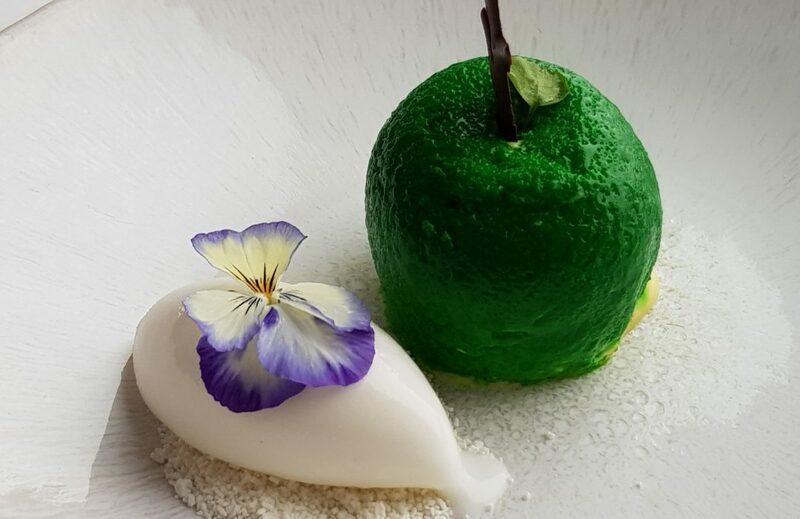 Autumn flavours have arrived at award winning Panoramic34. 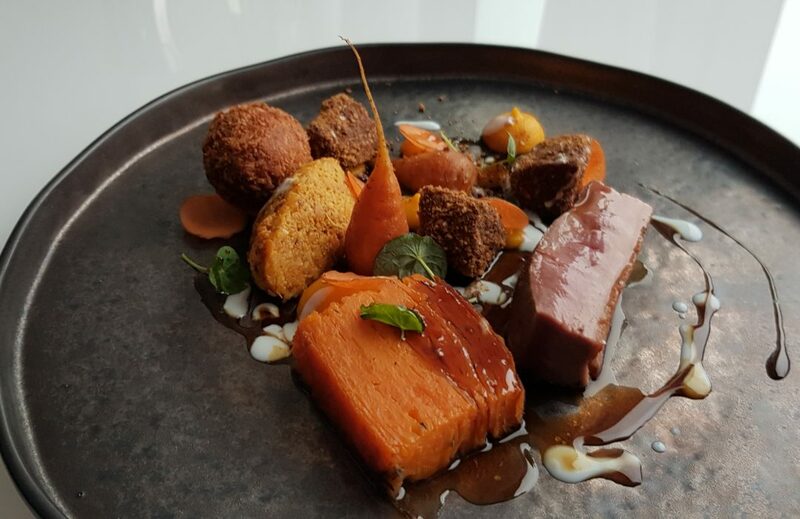 Savour delicious dishes from their new a la carte menu including seasonal starters such as Red Cabbage Soup, Saddle of Rabbit, Fois Gras Ganache served with onion, charcoal powder and orange. 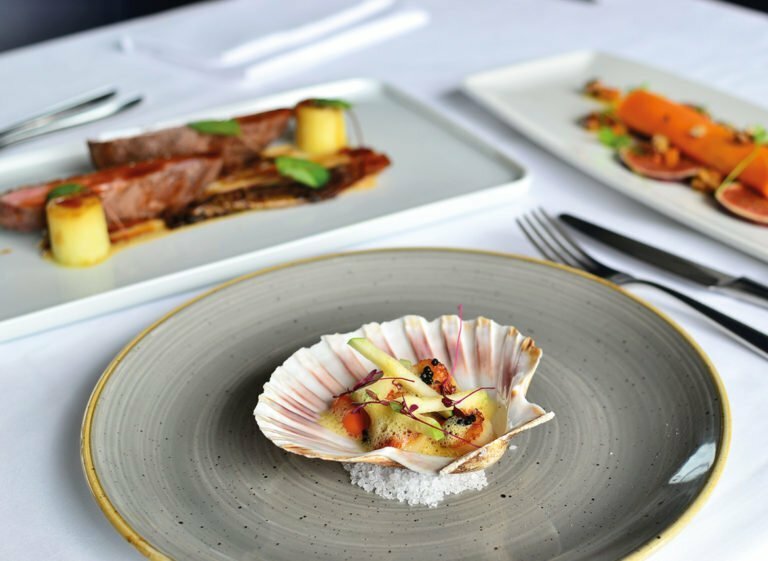 The mains entice you further, Grass Fed Beef Filet, Atlantic Stone Bass served with a mustard crust, poached baby leeks, morel mushrooms and vanilla cream, or perhaps Roasted Duck Breast with Hazelnut Dukkha will tempt you. Make sure you leave room for dessert; Salted Caramel Mousse, Poached English Pear and the heavenly Date and Hazelnut cake with dark chocolate mousse all grabbed our attention. Dinner at Panoramic34 is always a delight, whatever the season, with the Liverpool skyline as your backdrop, you’ll struggle to find a more romantic setting in the city. Second Floor Bar & Brasserie, Harvey Nichols, Manchester. Bid adieu to summer, the leaves are changing and so is the mouth-watering menu at Second Floor Bar & Brasserie, Harvey Nichols. Head there for a taste of Head Chef’s Matt Horsfield’s new autumn dishes. Choose from starters including a selection of market shellfish, homemade tagliatelle and wild venison carpaccio. 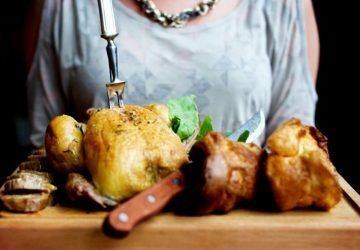 Take your pick from meaty mains such as smoked beef short rib, an 800g beef prime rib – to share, of course. We also loved the warming seasonal flavours of the Butternut Squash Risotto– topped off with an indulgent apple Breton or Cambridge burnt cream with sea salt pretzel and toffee sauce. 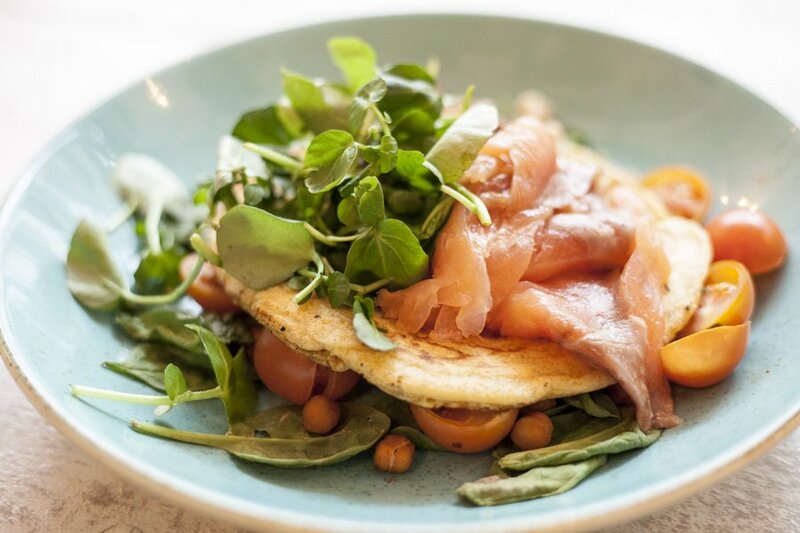 Bold Street’s most stylish healthy eating destination, Love Thy Neighbour, has answered calls to unleash the inner anarchist in you with a brand new cocktail menu. 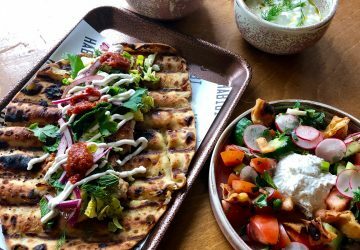 It’s been perfectly paired with a new evening menu, which has a smattering of small plates and larger cheat dishes, perfect for grazing with friends, the Littlefolk or devouring for date night. 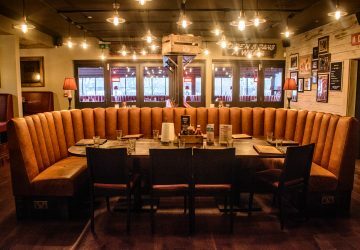 This healthy haunt which transports you to LA, Ibiza and back to Liverpool, is a favourite with mummy and daddy bloggers alike, an Instagram haven for the most influential of influencers and even playing host to a series of the latest ‘dry raves’ – perfect for letting your hair down with the little ones, whilst being able to drive home. Downstairs in the ‘Secret Basement’ one of Liverpool’s freshest events’ space awaits. Suitable for up to 15 diners to host an intimate dinner for colleagues or friends, or for those wanting to use the space more creatively, a cinema screen, cushioned seating and a dedicated sound system invites people to use it for a movie night with friends, a birthday party place, a venue to host a launch, pop-up shop or presentation, or even as an alternative venue for a baby shower – the Love Thy Neighbour team encourage you to let your creativity go wild. To find out more, join the conversation @lovethyneighbour1780 on Instagram. Olive Tree Brasserie introduces Chester to Greek cuisine the best way possible, traditional Greek dishes served with a modern twist. Taking inspiration from travels across the Greek islands, its founder Dean Wilson has ushered a new era and appreciation for vibrant and authentic flavours by incorporating fresh seasonal ingredients that brings a refined and cosmopolitan taste to the beloved Mediterranean culinary tradition. Their new autumnal food and cocktail menu entails simple, rustic and true to the Mediterranean diet essences, that coats the palate with delectable Greek flavours. There’s a modern take on classic dishes like Souvlakis, marinated the traditional way for 24 hours then chargrilled to lock-in the wonderful flavour. Olive Tree Brasserie’s famous homemade appetisers of houmous, taramasalata, tzatziki and htipiti all handmade to the exact recipe created by Dean still grace the top of the menu. But a refreshed Halloumi Pastourma – herb and spiced cured pork sausage accompanied by chargrilled halloumi with their own recipe sweet balsamic dressing – is one dish taking centre stage for the new season ahead. Traditionally Greek people share their mealtime with loved ones as it plays an important role in their culture, making eating flavoursome food not just a means for satisfying hunger but also a social experience. Incorporating Greek charm and contemporary design, Olive Tree Brasserie offers a private dining room made for family-oriented meals and get-togethers for up to 20 people. For bookings and information get in touch 01244 956 643 or join the conversation @OliveTBChester.